President Donald Trump announced last week that Secretary of Interior Ryan Zinke would be resigning at the end of 2018. And while even ardent supporters are finding it increasingly difficult to praise any move by the current administration, the end of Secretary Zinke’s corruption-riddled tenure at the helm of the Department of Interior is, perhaps, cause for brief, though bittersweet, celebration. America—and the world—is better off with Zinke out of office. Why? For one, over the two short years Zinke has been at the helm of the Department of Interior, he has continually treated his office like a personal piggy bank by making ridiculous purchases and indulging in a penchant for unnecessary private jet travel, all at taxpayer expense. Worse by a mile, however, is the fact that Zinke has also been hell-bent on using his position to perpetuate environmental destruction. Tasked with overseeing and maintaining roughly one-quarter of America’s land area, Zinke has instead transformed the Bureau of Land Management into a bargain bin thrift store open exclusively for the country’s grifting oil and mineral moguls. Under Trump’s direction, Zinke has scrapped Obama-era regulations and opened up for exploitation formerly off-limits public lands at break-neck speed. As a result, business is booming for the world’s extraction industries in America, indigenous rights have been superseded, deadly carbon emissions are on a precipitous rise, and environmental safeguards for clean air, water, and soil have been trampled. Under Zinke, America is having a going-out-of-business sale with public lands across the country on the auction block. A few examples: In Utah, the Bears Ears and the Grand Staircase-Escalante National Monuments were drastically shrunk and partially sold-off; in Alaska, the Arctic National Wildlife Refuge and the National Petroleum Reserve, the largest pristine landscape in the country, are being opened for oil exploration; and off the nation’s coasts, roughly 90 percent of the U.S. Outer Continental Shelf was also approved for resource extraction. All along, the plan has been to reduce environmental regulation and protections so that public lands can be mined, probed, and drilled for private profit. With global climate change reaching a new cataclysmic phase as the cost of renewable energy continues to fall, one must question why these approaches were taken at all. But as America joins Russia, Saudi Arabia, and others in a new “axis of climate evil,” the scheme becomes quite clear. To paraphrase and update a recent report from The Atlantic, cruelty—and private profit—drive many of the administration’s policy decisions. 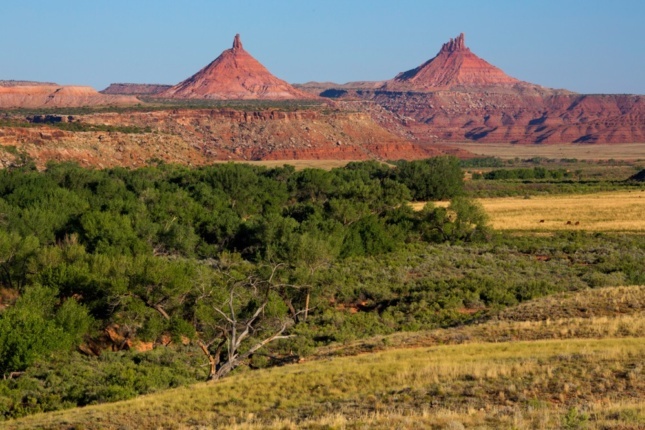 At the Department of Interior, Zinke has presided over a radical shift that has transformed the federal government into an instrument of business, stripping it of its historic role as a steward of public landscapes and, by direct extension, of the public itself. This administration’s profit-driven and deleterious impacts on our national parks and monuments have been particularly vile and will likely take generations to repair. Given ever-increasing estimates of the potential destruction that could be wrought by climate change, however, it’s unlikely whether repair will even be possible if the administration’s “America First” energy policy comes to fruition. 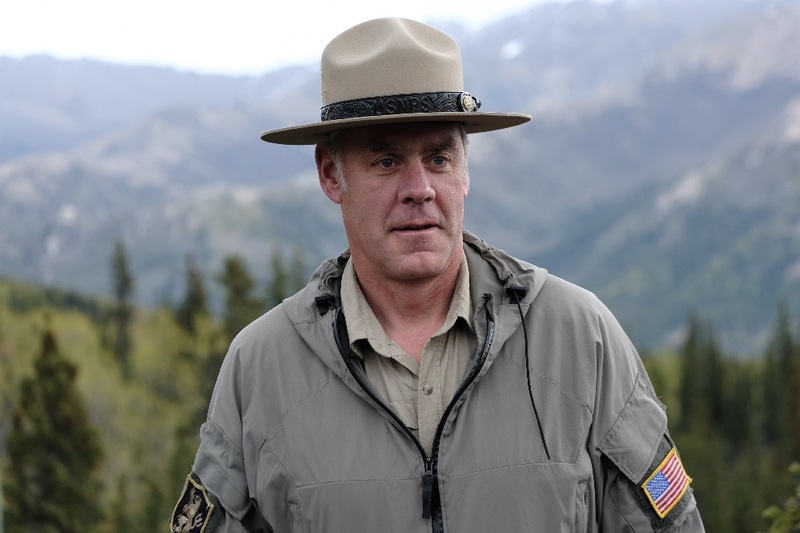 This approach has not been without controversy, of course: Reports cite Zinke’s escalating ethics crises as a main driver for his resignation. So, although Zinke famously arrived for his first day in office on horseback, he leaves Washington running with his tail between his legs as an ascendant Democratic majority in the United States House of Representatives threatens to set its sights on one of the administration’s most blatantly corrupt individuals. The outcome proves what while it takes a supreme level of nihilistic cowardice to steal from the future only to then run from the repercussions, Trump’s administration is filled with individuals willing to do the same. Zinke’s disgraceful tenure, like those of ex-EPA head Scott Pruitt, ex-attorney general Jeff Sessions, and the current grammatically-challenged Department of Homeland Security head Kirstjen Nielsen, proves that this particular basket of deplorables was all picked from the same rotten tree. To put it simply: If you care at all, even slightly, about the need to preserve and venerate the country’s iconic landscapes, about the public’s right to access public lands, or about the freedom to breathe clean air and drink untainted water, then Zinke’s tenure should fill you with dread and disgust. Under Zinke, the Department of Interior became a middleman between gluttonous extraction industries and the federal government’s land bank, plain and simple. Pristine landscapes have been sold off, soiled, and laid waste, indigenous rights have been superseded, and America’s vast territorial legacy has turned into a get-rich-quick scheme by an administration that sees personal profit as a professional virtue. There’s no silver lining, either, because Zinke’s replacement will likely pick up where the now-disgraced Montana politician is leaving off.